"My energy balancing experience with Melany has been the most powerful I have experienced. The sessions balanced my mind and body allowing them to make huge jumps spiritually, and left me feeling lighter and at peace. Melany is pure light and practices with complete non-judgement making you feel at ease and nurtured. Everyone that I have recommended to her has had a wonderful experience and I would encourage anyone who has never had an energy healing to definitely be open to this amazing experience with Melany." "From the moment you sit with Melany, you feel an instant shift in energy. She radiates positivity and you know you are in good hands. Her energy balancing method put me into such a relaxed state I actually fell asleep within the first 5 minutes. I'd definitely recommend her sessions." "Melany, I really want to thank you. I'm eternally grateful for your Loving presence, your intuition, and your ability to create a safe, sacred space for healing to happen. What rare and beautiful qualities these are. I am so lucky to have had the opportunity to experience some profound transformations in my life." "Melany has absolutely changed my life! I began working with Melany due to my physical health, I knew there was something deeper underlining my current issues but couldn't quite understand what. For 8 years I suffered from a severe digestive disorder that had been reeking havoc in every aspect of my life. For 2 years I had been working on the physical element of my issue but had not yet approached the spiritual, emotional and mental aspect until I met Melany. I instantly felt at ease with Melany and had complete faith and trust in her expertise in order for me to take that next step, which was a big one. Melany intuitively knew what I needed, and gently guided and supported me through each process. I truly felt like we were working together for my greater good and that Melany always had my best interests at heart. I am forever grateful for having had the opportunity to work with Melany, she helped me unlock what had been troubling me for so many years, she set me free and on the path of true healing. Melany I thank you for helping me heal and regain my life back, my gratitude is beyond words." "I have known Melany since 2005 at the University of Westminster. I was always attracted by her personality, quiet and mystical. In January 2013 I really felt I was on my knees, everything I had worked for over the past 2 years went into the ether: my wedding, my land, my projects, my dreams... I knew Mel was doing some kind of healing work and I decided to reach out for some help energetically. I was shocked at the immediate effect of what she did especially the fact that it was at a distant!! I instantly felt better, my sleeping pattern improved, work was getting busier and new opportunities started rising. I am a therapist myself but recently decided to get back to my creative side: dancing, modeling etc... Within a month I got an amazing opportunity to work with top photographers and video makers. I couldn't believe it! All that clearing energy work needs to be taken more seriously because it simply works. I am so grateful to have reached out to Melany she has helped me open doors I never thought could be possible." I've known Melany a long time, however, it was only a few years ago that I went to see her for her knowledge and expertise in holistic therapy. I was so stressed that it was having an impact on my health, so much so I found myself in the hospital on several occasions. Following MRI scans, blood tests and X-rays I was advised to take several forms of conventional medicine. I decided instead to see Mel who went deeper than the symptoms on the surface and down to the source. I saw Mel for six weeks and after employing her methods and approach I've since been more successful in work, have great relationships, am happy, and most of all healthy. Not only did she help improve my emotional and physical well being, she's given me direction on how to prevent going down that slippery slope again. Thanks Mel! I approached Melany for help when I really felt as though I was hitting quite a deep and intense emotional hole following some major family-related issues that were incredibly deep rooted. The most prominent of which were issues with body image, self-hatred & destruction, eating disorders, mother-daughter relationship and family conflict. Although Melany is not the first spiritual/energetic coach I have worked with- she is most definitely the first of her kind. Melany approaches her practice with complete honesty, integrity and vulnerability. I truly felt protected and safe throughout my sessions with her. Not only that, I felt as though Melany was incredibly invested (from a detached space) in helping me through my issues and creating a space for me to heal. Melany was able to bring me to a new space of awareness and healing that I was not yet aware of. She helped me to release a lot of self-damaging beliefs and thought-patterns that I had developed at a young age and from previous lives. Melany used a variety of techniques to help me reach this new space of self-love, lightness and openness. She was able to teach me about maintaining personal boundaries in relationships and how to make peace with previous pains. Not only that, Melany has re-invigorated a deep passion for energetic healing, colour-therapy and essential oils—which I have since been using very much personally as well as planning to use more in my own practice. My work with Melany was perfectly timed, as I was about to embark on a reunion trip with my family. As a result of my time working with Melany, I have noticed major shifts within myself and within my relationships especially with my mother. There has been a dramatic transformation for me personally. I am beyond grateful for all of Melany’s help and would recommend her to anyone who is attracted to working with her." "I have been struggling with health issues when a friend recommended healing sessions with Melany. During my sessions with her I have experienced a profound shift in the way of thinking about my “struggles”. As a result, I have found energy to make some important changes and have started feeling calmer and at peace with my situation. In my view and experience, Melany has a very unique gift to reach and connect with people on a deep subconscious level. I am very grateful to have found Melany and for my experience with her healing." "I can just about remember back to age 6 when I had an injection. From this point on every injection and especially blood test has been traumatic and getting worse. I thought I would grow out of the crying, the uncontrollable shaking, the vomiting and the panic attacks. This wasn’t the case. At 28, after a particularly embarrassing situation where I was crying like a baby, shaking uncontrollably, had to return to the hospital multiple times and eventually hit a nurse and couldn’t remember a thing afterwards, I contacted Mel and asked for help. I had tried everything from talking to specialists, having acupuncture and turning up for the blood test under the influence, nothing worked. During the first session Mel taught me about how these phobias come about and explained why it was getting worse and why I was unlikely to just ‘grow out of it’. It all made perfect sense. The second session was the hypnotherapy itself, which was actually amazing and extremely relaxing. It turns out that the phobia is likely to have developed much earlier than I thought! About a month after the hypnotherapy I was due to have a blood test, I went in sat down, this was already a vast improvement, held out my arm, looked away and the blood was taken without a hitch. Since then I have successfully given blood, no shaking, no crying, no panic attacks or other adverse reactions." "You have the amazing ability to somehow pick up the vibe that I'm feeling and guide yourself into the scenario. You have the skills to verbally communicate what is actually happening with me even if I'm half way across the world or in a different country, you are always able to understand and provide me with the best solution for my overall well being. You give me the right advice on how to handle the situation, what to expect, what has happened and/or how to resolve it. You always give me a clear direction on what I have to focus on in order to improve and self-develop. I thank you so so much for all of your love and support. I have complete faith and trust in the messages and treatments that I receive from you. You have been able to deliver very intensely deep messages to me that not many people would imagine or understand and continue to do so over anyone else in my life. I really really appreciate everything you have done and continue to do for me!" My biggest challenges were; focusing and stepping up my game for performances, and mental preparation for achieving my goals. Mel helped me on so many levels - emotionally and mentally - and also taught me a few simple methods and techniques to overcome my challenges. I have implemented all of the techniques Mel taught me, and practiced them on a continuous basis. After a few sessions with Mel I started achieving all of my goals - to name a few; I landed two of the biggest modelling campaigns of my career, I successfully launched and hosted my own online food show, I presented at numerous big events and awards ceremonies, and cooked live to over a million viewers on the UK's most popular daytime TV show; This Morning. I am so grateful for Mel and all the ways in which she has helped me achieve my dreams and to everyone around me who supports and advises me; family, friends and colleagues. "I arranged Reiki sessions for Mylo (my cat) to help reduce his stress during a time when a lot of changes were happening and his behaviour was becoming difficult due to alot of anxiety. He was also a rescue cat and had a few issues from his past experiences. I found the sessions really helpful for Mylo and Melany’s insights into his personality and behaviour were extremely accurate. I gained alot of advice on subtle changes to implement into Mylo’s habitat to help with his healing and since the sessions he has been much calmer and has a lot less attention seeking behaviour. I am really grateful for Melany’s services and appreciate her insights and help. I would highly recommend her as a healer." "After every session with Mel I said “mind blown”. I came to Mel at a time in my life when I was recovering from a traumatic situation that left me feeling scared, small and unable to move forward, stacked on top of a lifetime of unfortunate events. Mel has an incredible ability to find the moments in your life when things shifted and irrational truths were set in your subconcious, and to guide you through changing their impact on your present and future. I’ve spent many years in therapy for anxiety and I can confidently say I haven’t had nearly as much success or shift with any of them as I have with Mel. The journey I experienced with her, the new truths I have put in place, the tools she has given me to carry on being a healthy and able-minded individual are absolutely invaluable. I still can’t fully explain what I’ve experienced but I’ve changed in such a wonderful way. And I’m beaming with new energy ready to live the next chapter of my journey, people closest to me have really noticed it as well. I’m stronger, braver, more confident, less afraid and focused. If you’re struggling but you have an aching desire for growth, resolution and most of all freedom, I highly recommend working with Mel." "When I first started working with Melany, I was at the lowest place I had ever been within myself. I felt incredible pain regarding every aspect of my life and faced situations that seemed unresolvable. I felt like all the doors had been shut in my face, and that it was almost hopeless to try to change anything. I had suffered a debilitating divorce, strained relationships with pretty much every person I've known, relationship losses by the dozen, and a complete personality shift that turned my once sunny disposition into an entirely opposite state of being. I believed in nothing and no one, and could not see, sense or feel the love in anything around me. I felt attacked and criticised, abandoned and unheard, and worse yet, I felt no sense of belonging anywhere. I felt like no one could come close to comprehending these emotions, and that the people I needed the most at my darkest hour had turned on me. I was jobless but in need of work more than any other time in my life to support myself and my child as a single mother, and as much as I fought to find work, none would come. I battled my own body and took it out on my body. And it was a vicious cycle of self-sabotage which I was unaware of. All I knew at the time was that the world was completely unfair and I didn't owe it or anyone any faith in the way it treated me. In come Melany, and the entire picture has been transformed. Everything inside me shifted, in a very gradual way, with lots of challenge and struggle, and really hard looks in the mirror. But she guided me with grace, compassion, humanness, and vulnerability, and showed me that it was okay for me to show those things towards myself. Deep-seated issues I had totally disregarded, self-abandonment I had totally been unaware of, came to the surface, and she held my hand every step of the way as I apologized to myself for all the hurtful ways I treated my heart, spirit, mind, and body. In doing so, I regained love within me, and slowly, regained it for others, even those who had deeply hurt me. I honestly thought I would never be able to let go. That bitterness would engulf me forever. But Melany had different ideas, and shone them on me ... and now, I'm just starting a new life. It is just the beginning. And it is terrifying. Buts it is the most important thing I have ever and will ever do. Melany helped me choose life when I had no idea that I wasn't even giving myself a choice - that I could even make a choice - that there even was a choice to make! Life doesn't decide for us - we decide for us. Melany taught me that, and she did so with her feet in the earth; in such a grounded way, with so much humor. And with so much honesty and realness. Thank you, doesn't really cut it. When someone listens to you, and sees you, in your ugliest and most broken, and says, you are Loved and important, and I can show you how as long as it takes if you will let me ... then, well, then anything is possible. You just need to choose to do the damn thing. And here I am, doing the damn thing. Its made all the difference." "My first energy balancing experience with Melany was 8 years ago. At the time, I knew that something significant within me had shifted, but I hadn't yet grasped the magnitude of the effect it would have on my life - and what a truly profound effect it has been. I ended a so-called "perfect" relationship that I was unhappy in, because I realised I had only been going through the motions to conform to societal norms. I'd been doing it unwittingly in an attempt to normalize myself after the emotionally traumatic loss of a parent - which I had also unknowingly buried my feelings for. I excelled in an extremely high-pressure (and severely underpaid) job that was demanding in every sense - physically, mentally, and emotionally - in a notoriously 'ugly' industry, but when it started to conflict with my morals and I realised what a high price I was paying with it taking a serious toll on every aspect of my life, I eventually found the courage to leave it and move on. I learned to stand up for myself, which resulted in abated feelings of guilt within my family, and a stronger sense of self-worth, stemming from issues related to deep-rooted childhood trauma and a close family member's struggles with mental health - that led to intensity in my own issues with depression - in my adult life. While my initial session with Mel had been almost a decade ago - and had immediately inspired positive changes in my life - I now undeniably see that the clarity it gave me to approach my problems differently, and see life through another perspective while changing my reactions to it, was a catalyst. The ripple effect helped me work through the many deeper layers of my issues, and find my soul in what can only be described as "setting me free", as cliched as that sounds. After a series of events that saw me hit an emotional and physical rock bottom - I was hospitalised for severe adrenal fatigue, that high-pressure job had utterly drained me in every way, and I thought I had lost the only person I had ever truly loved - I knew I had to make a change. Despite building up the courage to make a career change that would impact the rest of my life beyond work, I still felt trapped, lost, and didn't know how to move forward. Although I hadn't seen Mel for a session in years, I knew I had to get in touch with her again. In a strange twist of fate, she emailed me at that exact time, inviting me to a hand-picked limited group for the exact type of energy work I'd just been planning to contact her about. Through a combination of one-on-one sessions, her audio guides, and more, I have made leaps and bounds since then. 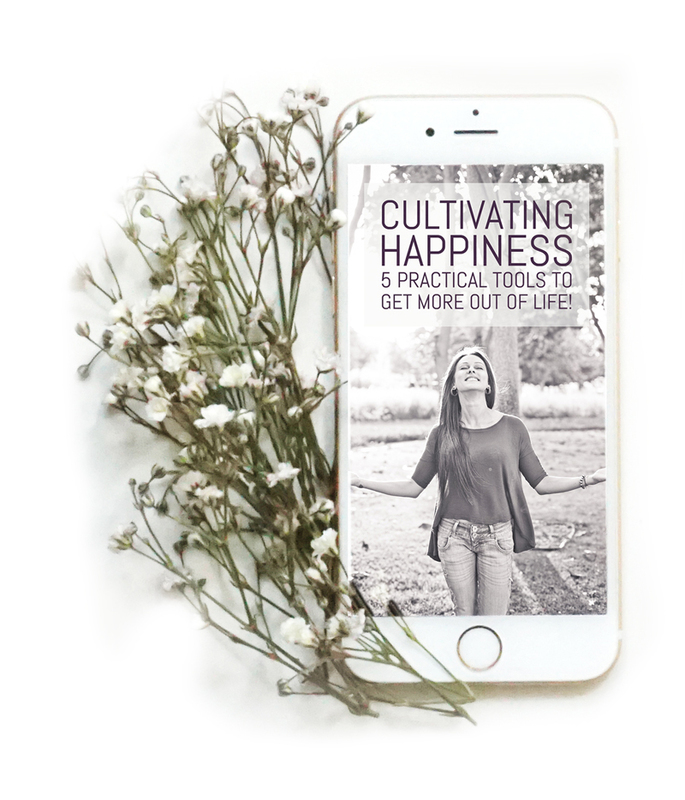 She has helped me redefine my truths, understand the seemingly subtle shifts in my life that have caused enormous impact on the rest of my life, and develop healthier, stronger relationships - not only with others, but with myself. Once a cynic about the metaphysical - now long-reformed after seeing and feeling the undeniable effects energy work can have on your life - I have worked with a lot of wonderful energy healers over the years. She practically single-handedly ended my skepticism, while helping me develop my own immense belief and faith in energy, the universe, and myself, setting me on a path that I can only describe as an awakening. One of my favourite things about how Mel works is that she never asks you to be falsely and unfailingly positive, or to hide from the darker parts of your psyche or the more so-called unseemly aspects of your subconscious. Yet while teaching you that you must face your demons to conquer them so to speak, she also offers endless support while ensuring that you that you can absolutely resolve whatever issues you may be facing - and giving you the tools to do so. It is difficult to explain the growth that I've experienced as a result of it, but in a tangible sense, it has enabled me to move on to being in a happy relationship with someone who I'm fairly certain is my soulmate; a job that pays 50% more than my previous one did; the ability to stand up for myself and not only know but fight for what I'm worth; a much more stable, joyful, respectful relationship with my family; and more genuine, balanced friendships. On an internal level, I feel a deep sense of harmony that can only come from knowing who you truly are, and being at peace with your soul. I thought I was strong, brave, confident, focused, thoughtful, and loving before - but I had only scratched the surface of how I could flourish after my work with Mel." "My feeling is Melany was born to be a professional in the Healing Arts. It seems quite clear that her life is moving towards excellence in this field specifically. The first session I had with her I was left with an overwhelming feeling that she has a huge and immense contribution to offer to our time. I am certain in next 5 to 10 years she is going to be a sought-after Healing Artist." Thank you so much for your interest and commitment to work with me for our gruelling Row across the Atlantic. To say we started off as a team of strangers and we only had one rower in our team, it was a huge challenge that we were setting out on that only a few people even attempt to do let alone complete the crossing. More people have been to space or have climbed Everest than have successfully rowed an ocean, and a third of the people that attempt it fail. Despite the challenges we were faced with suge as huge storms, sea sickness, sleep deprivation and equipment malfunctions, we are very proud to say that we achieved 2 World Records! I believe that this was largely down to our team having a common goal with a desire to achieve. We were focused and pulled on each other's strengths as a team. We all shared a common attitude of positivity and we were extremely resourceful when we needed to solve problems. I personally wanted to be the strongest I've ever been both mentally and physically to ensure my performance within the team wouldn't let anyone down. The biggest challenge was mental strength which, at times, was way more than the physical strength. We never considered giving up. This just wasn't an option. Sometimes the body wanted to but the power of our mental strength held us together physically for 45 days at sea rowing for 12hrs every day on a 2 hour shift system. I felt mentally and physically prepared and this was down to training I did both physically and mentally. I cannot thank you enough for teaching me how to focus all positive energy towards our goals. You are one very talented lady and I will always remember the crucial role you played in our external team. I often say the preparation was the hardest part, getting to the start line, and you had a big role in preparing me personally for that. From this experience and your coaching I can now apply the same to my day to day living. "​For many people, a break up is synonym to suffering. It is true in so many ways .. My girlfriend and I recently broke up and surprisingly, this break up is leading me to personal discovery. Sometimes you look at the mirror in a reluctant way, as you know there are things in yourself you do not want to face .. Well this break up is accelerating the process of facing everything I once did not want to face. Melany did a session for me and she confirmed everything I was going through. I really enjoyed it, especially everytime she confirmed something about my personality or the current phase I am going through. Though, what I enjoyed even more was the level of openness and honesty during the session, and that's something you cannot have with just anyone. I just want to say a huge thank you for the "Healing the Broken Heart" program you too me through. The issue I had was something which I have tried to resolve a number of times with little result. Since working with you over three sessions the issue has lost its grip and dissipated completely. I now feel lighter and free to live to my full potential. Your abilities and compassionate style made the process not only successful but enjoyable too. I am amazed at the transformation already and cannot wait for the next phase in my life. "Melany was recommended to me during a very difficult time in my life. 23 years of marriage had ended with no closure. My husband who I had devoted 25 years to packed his bags and moved into an apartment without saying goodbye or why to me or the children. I had been seeing a psychiatrist who listened and provided medication to calm my nerves but to no avail. After my first meeting with Melany I cancelled my appointment with the psychiatrist and threw away the meds. Melany took me through a course of Heart Alchemy healing sessions. That was four years ago, life is bright and I thank Melany for showing me the road to believing in myself and being positive about life." "After spending 20 years of my life moving from one unfulfilled and disastrous relationship to the next and looking for happiness in all the wrong places I made an appointment with Melany. After seeing Melany sporadically over a year with the Heart Alchemy sessions I have realised happiness comes within and not by anyone or anything. I had spent 20 years needing relationships etc to bring me happiness when all along it was inside me. As a result of my sessions I am working on finding happiness within and my relationships with my family have greatly improved as I let all childhood issues go. Melany has greatly helped with me on my path to find internal happiness and changed my outlook on life. If I look where I was a year ago to where I am now the transformation is amazing." "When I contacted Mel I was in a very difficult place in my life. It seemed as though out of nowhere I had lost touch with who I really was only to be overcome by fear and anxiety. It was a very strange experience. As soon as Melany walked in and started to ask me questions I already felt a weight lift off my shoulders as I could feel she intuitively knew exactly what I was feeling and going through. Her peaceful presence instilled a moment of calm in to what was normally a hectic thought-filled brain of mine. She immediately picked up on my hypersensitivity as well and reassured me this was typical of my experience. I was literally relieved that I was not going crazy. Melany did not waste any time and she straight away started with the therapy she knew was right for me. Her confidence was very reassuring. Within the first session she was able to have me feeling almost like myself again and this was truly a miracle in my opinion. The further sessions we had together were also very healing and completed the process of my recovery. I really used to be so impatient to see her as the sense of wellbeing she brought me was indescribable. It has been a long journey since that first session, but I wanted to take this time to write this testimonial to say that now, years later, I can truly say how grateful I am to have had the opportunity to experience Melany’s compassion, intuition, and healing energy. Just wanted to send you a note to say thank you for your support and guidance over the last few years. Since we first met 4/5 years ago, whenever I'm feeling off balance or life is getting me down I know that I can rely on you to get my energy and my Chakras realigned. As you know, 18 months ago I went through a breakup from a long term relationship, a break up that came from nowhere. You helped me through that time, you helped me to learn about myself and helped me to grow. From each session we've had, I've grown stronger in myself, more positive and grateful for everything I have in my life. ​Thank you so much Melany for everything that you have done and continue to do for me and others. I look forward to working with you again .. Whenever it will be! "Working with Melany has been an immensely happy, challenging and positive collaboration. The word ''collaborate'' is very important to understand: working with her is not to be seen as an experience offering instant gratification. The changes one discovers working with her methods drop slowly into one's lap, but they come with soft solidity that will give you the confidence that external validations, goalposts fail to maintain in their posture in our ever-changing lives. I experienced moments of great discovery and discomfort through the process. I was motivated by certain changes that instantly manifested themselves: my common health ailments fell away, my clarity of mind and presence improved dramatically and my ability to connect with others grew by leaps and bounds, unfettered by previous bouts of confusion. Yet while the changes were galvanising to continue the work, the keystone was a trust in oneself and a trust in all aspects, good and bad, of a circumstance that visits one, to learn to work with yourself, than against, to learn to let go of that which you are unwilling to carry, to appreciate others, even in their moments of confusion and, finally, to do your best to maintain a posture of honesty in one's life. She has been able to help me take steps I was previously afraid to take and to understand events from a height I was unwilling to climb. Best of all, the techniques you learn become fun. Eventually, it will become amazing. Go ahead, and take the plunge into yourself. " she has helped me through them. Things have started to flow and life is generally much better. issue to go see her or just to continue having a balance in life. Thank you so much for all your help through this journey. I know that there is still a lot of work to be done but now I feel like I have a lot of tools to help me on the way. Working with you has given me the clarity and direction that I was looking for. I came to you with anxiety and with an overall feeling of of being lost; what is my purpose, what am I doing with my life, how can I be a better version of myself? These were some of the things that you helped me with and even though I don't have the answers to all these questions right now, I feel that I am better equipped to look for the answers in my everyday life moving forward and that I have a clear sense of the direction I need to go in. I can't thank you enough for all that you have helped me with! I wanted to drop you a note to say thank you! Thank you for what you did for me last year..I truly believe the sessions with you have had a profound impact on my life. I'm really into mindfulness these days, I'm actually helping others too which is a wonderful thing. "The biggest challenge for me was to get over my anger, suspicion, insecurity and constant negativity that I was attracting because of it. It had made my life living hell. After 6-7 sessions with Melany in over 4-5 months, I am a totally a different person now. I have grown spiritually and have become more intuitive. I observe my behaviour and control it as soon as it becomes negative or tries to over power me. I'm happy to be me, my real self. I recognise and read the energy's coming from negative people so I know how to protect myself now. I don't feed negative emotions anymore and have learnt how to cut them by either changing it to some positive thought or action. I watch more rather than react. Today, I feel content, happy, calm, peaceful and a spiritually grown person. I feel I'm very powerful and I am able to mold a sad situation into a lightening one. I watch my emotions and 70% able to control them. My relationship with my husband my family has become healthy. I feel more intuitive and i’m still learning more about it. Every moment in my life I thank god for giving me whatever I have, for sending right people at the right time in my life in order to make me strong. I thank god for making me meet Melany and I Thank you truly and deeply from my heart for helping me become a positive, confident and a happy person. I feel you are blessed with very strong powers and anyone who approaches you will definitely be sorted in life. You take away everyone's troubles and there is no doubt about it. May god bless you always Melany. Love you loads." "I have heard about Melany through a friend of mine who went to see her for a tarot session. She was amazed and recommended her to me because I was at a point in my life where I needed answers. I have met Melany twice. The 1st time I was quite afraid to hear what the cards would say, but Melany has a unique way to relief and comfort people. From the 1st minute with her you can feel her positive and peaceful energy. I felt that I could trust her straight away. Melany is a real healer, she does her things with passion, in order to help people. I went to see her 6 months later as I was about to take some important decisions in my life. She guided me with the help of the cards, and comforted me in my decisions. I would definitely recommend her to anyone who needs answers and who wants to improve their spiritual life. Thank you Melany for your precious help!" "Before I proceed with my testimonial, let me share with you how I got involved in my spiritual path. It was mid 2014 when I reached the lowest point in my life. I didn't know how to find light in my path, that was the time I lost someone that I loved more than my life. All my dreams and plans were shattered. I was so helpless and far away from my family. I felt so alone and had so many unanswered questions. I lost my self-worth and self respect. My self-esteem was extremely low and I experienced many sleepless nights. I had endless tears like an ocean. I went to different professional therapist here in Dubai hoping for miracles for my situation. I tried many different types of healing, until I met Melany. I was lucky that the person I asked to have a session with referred me to Melany. I can say that among all those sessions that I had, it was Melany who really gave me the significant best healing sessions! She was very honest and sincere about what you could really expect in each healing that she did, no sugarcoating and unreliable expectations or make believe talk. She was honest and never ever took advantage of my situation, all she desired was to help me get out from the darkest days of my life. I will always be grateful for her healing sessions and will not forget all the help and assistance that she gave me. May God bless her more and more to be able to help many people that may be experiencing a hard time in their life. Melany thank you!! Really.. that you are such a gift to humankind. Please continue be a blessing for others." "I heard about Melany from a friend. I did the Reading via Skype. My first session was Feb 2014, I was confused with my life, specially my love life. Melany did a reading for me and explained what she can see from the cards. It gave me inspiration to move forward with my life. The second time was September 2014. Everything that she told me in Feb 2014 was spot on! Some good things and some things that I didn’t want to hear and what I will face over the next coming months. December 2014 I did my third reading that year, again over Skype. Melany is very good at what she does, that's why I keep coming back! It’s not only about my love life, but also about my career and life in general. For me it's very important that I know what challenges lie ahead, even if it is things I don't want to know, so that I can prepare for them. Melany told me that I can change some things by working on myself and my beliefs and yes I did it!! Sometimes there were things that were inevitable as I had already manifested them from the past, also some things you can't avoid as that’s how it is. For example when she told me about my job transition that the process will be long and it happened just like that. Since I was aware of this from the reading, I handled it well with no stress and no drama because I knew that was the process and I needed to be patient. For me these readings give me insights about my life and how to handle it in a better way. It helps me to think before I take any action based on impulse when difficult situations arise. The readings have helped me to change what is in my control and handle negative situations in a positive manner. Thank you so much Mel!" "I have known Mel for 3 years meeting in a workshop. One thing I noticed immediately about Mel was her calm nature and her unique sense to emotion. Mel is one of the most caring people I know, with genuine love and time for people. This is especially felt if you ever get the opportunity to get a hug from Mel; she is very patient and selfless person. I have experienced Energy Healing and readings, but most likely I've experienced all of Mel's talents as she tends to integrate all her skills when healing, depending on her unique client. I felt relaxing waves of energy and shifts with certain questions, which just keep going until Mel hits the right trigger. I believe these sessions affects the longer term too, but it's harder to measure and give thanks to, but it happens. With the tarot, Mel revealed everything that was happening in my life and even opened up an unresolved issue that I wasn't aware was affecting other aspects of my life that I'm now ready to tackle at the right time. Thank you!" "I approached Melany for the first time for healing sessions since I have always had trouble saying ‘No’ to people and this issue was leading to me being overworked & completely stressed. Just a single session with Melany helped me immensely. About 2 weeks after the session, I was able to handle a situation very easily by politely and firmly declining the same without thinking twice - and that is when I surely knew that the session had started working. I had some more sessions with her and I can confidently say that she has helped me a lot in overcoming my fears. Her group sessions on specific topics are a definite must do. Her connection to Spirit is amazing. I have also attended her Access Consciousness class and she made it thoroughly interesting. I have been attuned to Reiki 2 by her and she made it a very beautiful experience. Each experience- be it a class, a healing or an attunement has been filled with love and light. She is a lovely, gentle person and a born healer. Highly recommend her to all." "Myself and my wife were attuned to Reiki Level 2 by Melany and it was an extremely remarkable experience. Melany is a well versed healer and teacher and the energy during the attunement was incredible. During the attunement we felt our house was filled with so much positive vibrations and light. I would highly recommend Melany to those seeking to learn Reiki healing and for spiritual growth." "Working with Melany was really the best decision I've made for a long time and one I was definitely ready and open for. With her help, in a very short time (3 sessions), she helped me to see things so much more clearly than I had done myself and being able to let go of things hanging onto me from the past, move on more confidently with my future. Sometimes in life we need someone else to help shine a light on things which are very obvious but we can become lost in the mist. Thanks to Melany, she helped clear the mist and life seems a lot brighter having had her help." "I have done a few readings with Melany and I will continue to choose to speak to her whenever I feel I need some guidance and clarity. Melany is lovely, gentle and extremely intuitive, everything she says resonates and is true to my situation. Her intuition is very accurate and her interpretation is spot on. Thank you Melany"
“Peace of mind, my heart, soul and spirit in perfect harmony. Just want to be alone and enjoy this ‘Great Power’ energy you so gently helped me find. I have stopped taking all anxiety medications. It feels so good to discover this light inside of ourselves." "Through our work together Mel helped me to address some repressed issues that were holding me back, at a very fragile stage of my life. Within two sessions, I could feel the positive effects almost immediately, and still going strong. As a fellow therapist, I must say that I was impressed by Mel’s honest, nurturing approach . She’s very connected spiritually – a truly powerful experience!" "I experienced my first session with Melany and a variety of healing modalities and found Melany's use of the Heart Alchemy Sessions technique to be truly powerful in clearing some blocks I had and giving me insight into issues I wanted to work with. I also had an incredible session with Melany using the power of Tarot, which Mel has mastered in a way I haven't seen elsewhere. Wonderful healing work, Mel! Thank you!" "I felt amazing after the energy balancing sessions with Melany. My energy was centered and I finally regained my restful sleep! I thoroughly recommend it." "I came in with a head full of work and it had drifted away when I left." "A couple of my friends have seen you this week. All feel amazing after the initial 2 days! Well done on being a powerful healer!" "I played golf yesterday for the first time since our session - you are a genius." "I would like to thank Melany Oliver for the home treatments I received. I have to say I was unable to walk with pain on my lower back and leg and with an important work dinner to attend. I received the first treatment at 3:30pm, by 7pm I felt in much better condition, I was able to get up and attend the event. After this I continued with the treatments, today I feel healthy and very energetic." "Exceedingly accurate, very relaxing under the circumstances. Melany has magic hands and a very calming way. " "I've decided that I would like to share my story in the hope that it will not only inspire people towards alternative healing practices but give people faith that they really do work, and can have just as a far reaching impact on long term good health as mainstream medicine. Like all professions there are good, bad and mediocre practitioners, I was fortunate, however, to be treated by one of the very best, Melany Oliver. Melany came to me highly recommended but I knew very little about Reiki, Acess Bar and Matrix healing, in fact any alternative healing. In December 2010 I suffered a huge, traumatic loss when my twin sister committed suicide. My grief was so intense that I knew it would have a physical effect on my body, I just didn't know what. It was early 2013 when I was diagnosed with Lupus SLE, a chronic lifelong condition that can be managed, not cured, and can in some cases be fatal. It is an autoimmune disorder that can attack any part of the body and leaves you in constant pain, fatigued and presents with a huge variety of symptoms. After my Doctor told me that it was incurable I was started on a course of immune system suppressants. I was then told that it would be likely that I would taking drugs, including steroids, for the rest of my life. This wasn't only a shock but depressing and I felt sure there must be some alternative. I started on the 6 month course of immune system suppressants but decided to go and see a naturopath I was recommended. My naturopathic doctor assured me that Lupus, like anything in the body, can be reversed and curable. My body had the ability to cure itself, just needed the right conditions. I then started my journey of acupuncture, Chinese medicine, cranial adjustments and diet alterations. This was all going very well but I felt I could still do more and that my body needed more. On the recommendation of a friend I called Melany and I had my introduction to Reiki. It was a powerful experience for me and I knew I had been guided to the right person at the right time. Each week we worked on my body transforming itself from sick to healthy, and I was given daily exercises to do at home. I knew it was going to be a long journey back to good health and I knew I had to put the work in and practice daily what Melany had taught me. There is no such thing in this world as a quick fix or expecting someone just to cure you. It's important to understand that you are responsible for your own positive outcome, with the help of others, but you must do the work. I cannot stress this point enough. Having one reiki session and expecting it to make a drastic difference is like going to see a personal trainer and expecting to walk out fit and 30lbs lighter after just an hour. Every 3 months I had blood work done and things gradually got better. After 10 months I had my regular blood tests with my Lupus specialist and she was astounded by the results. She sat me down and couldn't explain what had happened, informed me I did not have Lupus and said it was just a strange medical anomaly and these things just couldn't be explained. She found the results remarkable and told me I didn't need to come back. My doctor is very science based so I had briefly touched on the matter of alternative treatments but was met with ambivalence. I had stopped the immune system suppressant drugs and all had gone back to normal. It was amazing and very exciting. My naturopathic doctor was astounded it had happened so quickly, she knew it would happen, but thought it would take much longer. I truly believe my weekly treatments with Melany and the exercises she gave me to do at home, helped my body realign itself to become healthy and vital once more. i still have my weekly sessions with Melany and still do daily practices at home to keep my energy systems aligned and my body healthy. I can't thank you enough Melany for helping me maintain my faith that my body would heal and helping me get to a state of both emotional and physical wellbeing." "Gostaria de agradecer a profissional terapeuta Melany Oliver, pelo seu excelente trabalho feito com muito amor, profissionalismo e seriedade. Quando criança meu pai me abandonou, cresci com medo de ser abandonada, tinha outros medos relacionados com abandono, que a terapeuta Melany me fez descobrir. O que muito me ajudou no tratamento feito por ela comigo, como: técnicas mentais e exercícios para eu fazer em casa, usando suas essências e oleos para traumas e medos, fez hipnose, e outros formas de 'healing' que me ajudaram muito. Hoje sou uma pessoa confiante, forte, entendi com a ajuda da terapeuta, que na verdade não tinha sido abandonada, eu me sentia assim e passei a ter medos. Sou feliz por não sentir mais esse sentimento dentro do meu coração que me fazia sofrer. Vivo melhor sendo positiva no meu dia. Muito obrigada Melany pela sua dedicação, preocupação e trabalho maravilhoso com honestidade, que me ajudaram na cura. Serei sempre muito grata pela grande ajuda." "I would like to thank Melany Oliver for your wonderful work that was conducted with so much love, professionalism and sincerity. When I was a child, I was abandoned by my parents, I had a lot of other fears related to being abandoned that Melany helped me uncover. What also helped me were some useful mind techniques and exercises that I could do at home, along with her essential oils for traumas. We did the Heart Alchemy Sessions to help with my issues. Today I am confident, stronger and I understood that I was never really abandoned. I used to feel this a lot and getting stuck in this feeling is what made me have a lot of fears. I am so happy now that I no longer have these feelings of being abandoned and fears. I am more positive in my daily life as a result. Thank you Melany for your dedication, care and your wonderful work that you do honestly that helped heal me. I will always be grateful for your help."